Los Angeles, CA – Comex gold futures prices remained relatively stable following the FOMC statement on Wednesday. Federal Reserve chair Ben Bernanke announced that while no additional actions will be taken by the central bank, the Federal Reserve remains ready and willing to provide aid to the U.S. economy if needed. Gold traded slightly higher this week, up to $1644.00 an ounce. Silver traded slightly higher from Wednesday morning trading, moving up $0.20 to $30.71 an ounce. 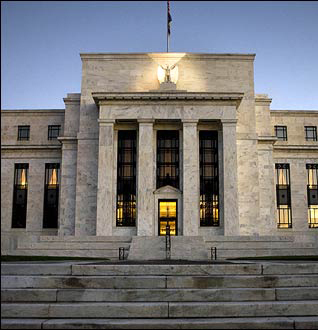 Earlier Wednesday morning, the central bank’s policy-making Federal Open Market Committee (FOMC) reiterated its promise to keep interest rates at near-zero until the end of 2014. However, the statements given by the FOMC gave little additional guidance on whether it will take additional steps to boost economic growth in the later part of 2012. At current, the economy’s direction has financial analysts uncertain as with the past year. In the Eurozone, while the immediate threat of a Greek bond default was averted, proactive measures to stabilize other troubled European countries such as Spain, Portugal, and Italy in the long term seem to be falling apart. Gold and other precious metals have and will continue to be an attractive safe-haven investment amid turbulent economies. Don’t wait for the economy to worsen, buy physical gold and silver now to protect your wealth! Contact American Bullion to learn how you can own physical gold for home delivery or convert some of your paper-backed assets in your retirement account into a gold IRA or silver IRA. Call 800-326-9598 or email us at info@americanbullion.com for more information.